Home/Roofing/Will My Metal Roof Rust? Can a metal roof withstand mountain snow, rain, and other forms of precipitation? Metal roofing is a great choice for many homeowners throughout the Sacramento area. This roof type is lightweight, versatile, fire-resistant, wind-resistant, energy-efficient, and long-lasting. Its surface also sheds snow easily compared to non-metal materials, making it the best option for areas with cold winters. 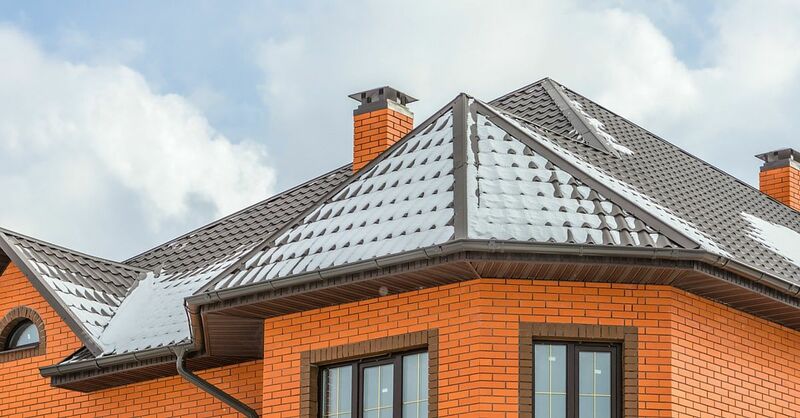 In spite of its many proclaimed advantages, many people are still hesitant to invest in a metal roof for one reason: the possibility of rusting. No one wants to risk installing an expensive roof only to have it rust over after a few years. Do metal roofs really rust, or is it a common misconception? Let’s tackle that issue now and clear up everything once and for all. Metal does rust – as do old roofs made of tin, aluminum, and steel. With the right protective coating, a metal roof can fight against oxidation and the formation of rust. Zinc is often used as coating, and the process of applying it on the metal is called galvanization. Galvanized steel is simply steel is coated with zinc. With proper maintenance, galvanized steel can last over half a decade with no signs of rust or deterioration. First, it acts as an initial barrier, and as a corrosion-resistant element, it does a fine job for this purpose. Second, it serves as a sacrificial anode, so it gets damaged instead of the metal even when the coating is scratched. Aside from zinc, galvalume is also used. A combination of zinc, aluminum, and silicon, galvalume lasts longer because it is more corrosion-resistant. But the presence of aluminum makes scratches and cut edges less protected, manufacturers often have to decide which trade-off they are willing to take between galvanized and galvalume. There are some coatings specially designed to enhance the life expectancy of a metal roof. Always have a professional apply this coating, as incorrect or insufficient application of coating can lead to rust stains, which are harder to remove than to prevent from happening. An ounce of prevention is always worth a pound of cure — yes, even for metal roofing! To learn more about the benefits of metal roofing and whether it is right for your home, contact our team at Straight Line Construction. We service the roofing and home improvement needs of the Sacramento region.